The German-Russian Young Leaders Conference, founded in 2009, is the leading bilateral platform for leaders from business and society. This non-profit, politically independent, non-partisan platform is a joint initiative of the Berlin-based non-profit association “Deutschland-Russland – Die neue Generation” (Germany-Russia – The New Generation) and Saint Petersburg State University of Economics, Russia’s leading economic university. 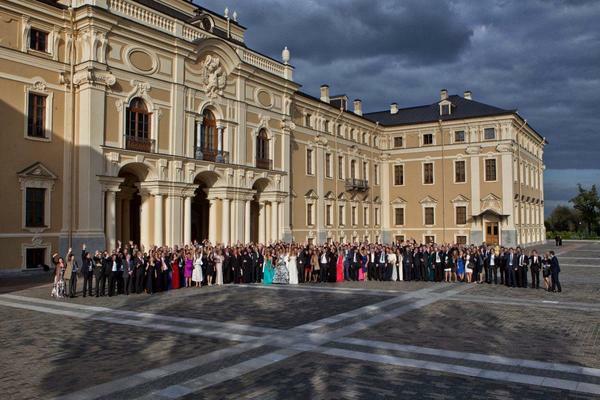 The initiative’s main event, the annual flagship conference, assembles 200 selected young leaders from Russia and Germany with diverse backgrounds, such as founders of start-ups, members of parliaments, next-generation scientists, new leaders from global businesses, and civil society activists. The alumni network already comprises more than 1,000 young leaders from both countries. Young leaders – who are they? 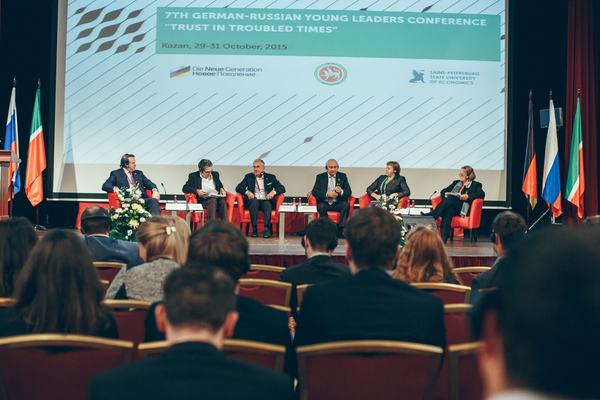 The German-Russian Young Leaders Conference is the largest platform of its kind to foster a dialog among a new generation of passionate Russians and Germans with exceptional profiles in their respective fields of activity – business, politics, culture, science, and media. Once a year, 100 German and 100 Russian participants, selected from hundreds of nominations and applications, are invited to a three-day meeting. We particularly aim to recruit participants without intense prior relations to the respective other country. The participants are selected through a thorough application process, focusing on young “leaders in mind” with exceptional profiles in their spheres of activity. Participants' ages range from about 25 to 40. The conference provides young leaders with an open platform for professional and personal exchange. The conference program includes plenary sessions, interactive workshops, working meetings, inspirational debates, keynote speeches, as well as company visits and various cultural and informal events. Speakers, experts, and guests of honor, representing various companies and institutions, are an integral part of the platform. 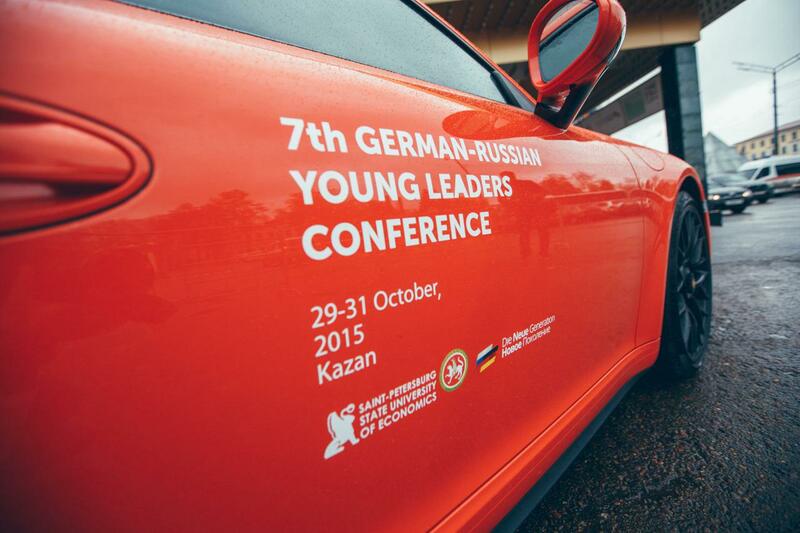 The German-Russian Young Leaders Conference aims to form a permanent active network among its alumni. The ongoing exchange shall help to build the foundation for better German-Russian and EU-Russian relations in the future. The annual conference takes place, on a rotating basis, in Germany one year and in Russia the next year. Thus far, the conferences have been hosted in Berlin (2009 and 2010), Moscow (2011), Munich (2012), Saint Petersburg (2013), Hamburg (2014), and Kazan (2015). Our track record of conference venues is outstanding. In addition to the content aspect, every year participants were exposed to the culture and ambience of each location. Each year, our program includes company visits and cultural events, gala dinners and informal receptions that foster professional and personal exchange. We always choose venues that have exceptional standards and are relevant to the conference. The conference is funded by supporters from business and society and hosted in collaboration with leading foundations from Russia and Germany, such as Friedrich Naumann Foundation, The Gorchakov Fund, the Konrad-Adenauer-Stiftung, and Musical Olympus. Participants themselves make a substantial contribution by individually covering their cost of travel and accommodations at the conference hotel. Our supporters in previous years: Baltika Brewery, Deutsche Bank, Deutsche Post-Stiftung, E.ON, EWE, Gazprombank, Gazprom Germania, Knauf, McKinsey & Company, METRO, Porsche, RZhD Russian Railways, Siemens, Tatneft, VNG Verbundnetz Gas, Wingas, and many others. Our supporters participate in the conference and contribute in different ways: from financial support to different organizational contributions. Top management of our supporters usually take part in the conference. Participants, experts, guests of honor, and company representatives are all involved in a professional and personal exchange experience. Deutschland-Russland - Die neue Generation e.V.